WOW- what an ending! 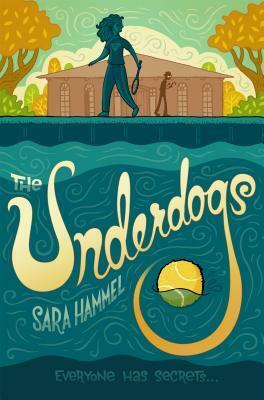 I was excited to read Sara Hammel's debut novel, The Underdogs, so I could add another mystery to the list I recommend my students. What I got was so much more. Evie and Chelsea are best friends who tend to be invisible at the tennis club where their parents work. When the local beauty queen is murdered at the club's pool, they use their knowledge of the people and place to investigate the crime on their own. This turns out to be dangerous and leads to shocking discoveries, for both the characters and the reader. A murder is a difficult plot point for a middle grade novel, particularly when there seemed to be many characters in love with the victim. I kept waiting nervously for the book to go darker, but it skirted the line very well. Best of all was the surprise twist at the end that I never saw coming. I hate spoilers, so won't say any more than I ended the book in tears and can't wait to share it with my students.